TREATMENTS - Susannah Spearin R.M.T. All treatments are provided by Susannah Spearin R.M.T. ​A receipt for extended healthcare benefits may be issues for all services. A classic full body treatment that will address musculoskeletal ailments with deep tissue massage, and equally as important, calm the sympathetic nervous system (fight/flight) allowing the body and mind to relax and heal. 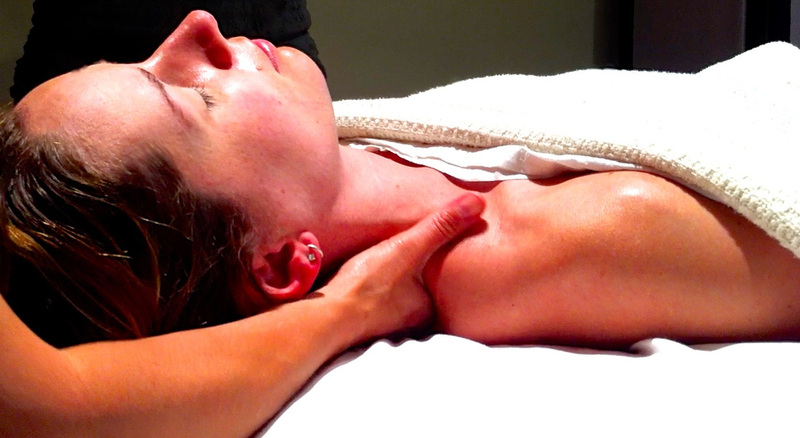 Besides being a swedish massage in origin, elements of shiatsu and reiki are also combined. *Please book your appointment time at s.spearin@icloud.com and include 3 days/times that work for you and one will be confirmed. A 90 min Massage is excellent for chronic muscular tension, as well as addressing trigger points and adhesions that may need extra care. This treatment is the ultimate in hitting the 'reset button' so to speak. The treatment is derived from classic Swedish methodology, that has aspects of shaitsu, reiki and reflexology. A massage with warmed Basalt stones to penetrate tight muscles and sore joints, while cooled marble releases inflammation. This thermo-therapy stimulates circulation and balances energy centres. Encourages relaxation and focuses on the many stresses your body encounters during pregnancy. Therapeutic massage is also beneficial for your developing baby, who will feel the relaxing effects within the womb. Various support pillows are available as well as the *Prego Pillow which allows a woman in the 2nd and 3rd trimester to lie safely on their stomach. I work with a wide range of certified pure, therapeutic grade essential oils to enhance the effects of massage therapy both physically and emotionally. They are offered complimentary with all treatments. This treatment stems from traditional Chinese medicine and uses 'negative pressure' to effectively release fascial holding patterns, thus increasing range of motion and circulation, while decreasing pain. In addition cupping is useful for lymphatic drainage. You may request this service be added to any massage free of charge, or a 20 min. cupping session may be booked. A clinical approach to essential oils that gently supports homeostasis within the body. A specific sequence of CPTG oils are applied along meridian points and visceral contact points of the back & feet to aid the body in balancing the sympathetic & para sympathetic nervous systems. The focus is on stress management, immune support, and the reduction of inflammation due to accumulated metabolic waste products. This is a restful treatment for body & mind. rehab centres, hospital settings, or women's support centres. Please email directly to inquire. This is an energy balancing treatment that works on physical, mental, emotional and spiritual levels to connect with your inherent wellbeing. Reiki is great for everyone and it is especially beneficial for those experiencing trauma, high stress, surgery, addiction recovery, or who are at the end stage of life. Western medicine recognizes the important role of the body/mind connection and its implications to our health. 'Rei' refers to the intuitive intelligence and guidance that permeates all things and 'Ki' is the non physical energy flowing through all living things. When a persons 'Ki' is high one feels a sense of strength and confidence, a readiness to take on life's challenges. Alternately, when 'Ki' is low one feels tired, weakened and more likely to get sick. Reiki has a way of enhancing the balancing conditions necessary for each individuals own unique expression of health. It is considered a bio-field therapy affecting the subtle-energy that encircles and interpenetrates the body. In this fast-paced world Reiki offers a calm and gentle method of complimentary healthcare. Clients are fully clothed during the session. *may be offered complimentary in some instances, at retirement homes, rehab centres, or hospital settings. Please email directly to inquire. *Book your appointment time at s.spearin@icloud.com and include 3 days/times that work for you and one will be confirmed. *Susannah Spearin R.M.T. is a Reiki Master and Teacher in the Usui Ryoho Reiki lineage and is available for training in the various levels.